Charles Lane Poor (1866-1951), professor of astronomy at Columbia University, and as a hobby, an enthusiastic yacht designer, wrote in 1930 this brilliant paper in the spirit of the greek word akribeia, that is, precision and attention to details. ''The mathematical formula, by which Einstein calculated his predicted deflection of 1".75 for light rays passing the edge of the Sun, is a well known and simple formula of physical optics. In this formula he substituted an hypothetical 'retardation' of light in its passage through a gravitational field; and this purely theoretical retardation is the sole new concept involved in the prediction. Not a single one of the fundamental concepts of varying time, of warped or twisted space, of simultaneity, or of the relativity of motion is in any way involved in Einstein's prediction of, or formulas for the deflection of light. The many and elaborate eclipse expeditions have, therefore, been given a fictitious importance. Their results can neither prove, nor disprove the relativity theory: at the best their results can prove that light is retarded by gravitational action, and is retarded by a certain definite amount. But the actual results of the eclipse expeditions do not even prove this. Not a single expedition, so far reporting, has made use of effective checks or controls for eliminating the effects of temperature upon their instruments, or for determining the possible effects of abnormal atmospheric conditions during the eclipse. And further not a single party has made a systematic study of all the data obtained. In the South American eclipse of 1919 less than 15% of the actual measured data was used in obtaining the announced results: in the Australian eclipse of 1922 only about 50% of the data was used. All non-radial components of the actual measures were discarded as 'accidental errors.' The radial components were then forced into a semblance of 'exact accord with the requirements of the Einstein theory' through an assumption written into the methods and formulas of reduction: an assumption for which there is not the slightest observational evidence. In fact the only evidence available-the evidence furnished by independent check fields photographed on the eclipse plates-would seem to show that this basic assumption is utterly wrong. Arthur Eddington (1882-1944) in his option concerning the dissemination of the theories of Einstein, a German, acted resentfully against his country, as well as Voltaire, two centuries before, against France and Cartesian rationalism. Eddington, on the basis of his pacifist beliefs and the faithful according to the religion of the quakers, has repeatedly refused the military conscription. As a result, he was ‘harassed’ by British justice, and his military status was postponed until the end of the First World War. Eddington was the self-declared discoverer of the relativity theory of Einstein, another pacifist, and thus he attempted to achieve, on scientific grounds, the Anglo-German post-war reconciliation. It follows that the famous expedition to the tropics (Brazil and Principe Island) during the 1919 total solar eclipse to test the General Relativity Theory, was for Eddington a mere formality. 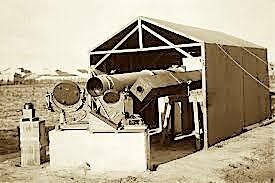 The deflection of light rays near the sun was something a priori established, a true belief. As C. Lane Poor accurately demonstrated in 1930, the results of the ‘crucial experiment’ showed something else, that is, they did not show anything, and the data were selected to match the prediction of Einstein’s theory. 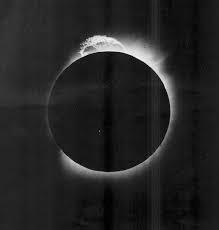 C. Lane Poor, ''The Deflection of Light as Observed at Total Solar Eclipses’’ in: Journal of the Optical Society of America, Vol. 20, Issue 4, pp. 173-211 (1930). First Edition. 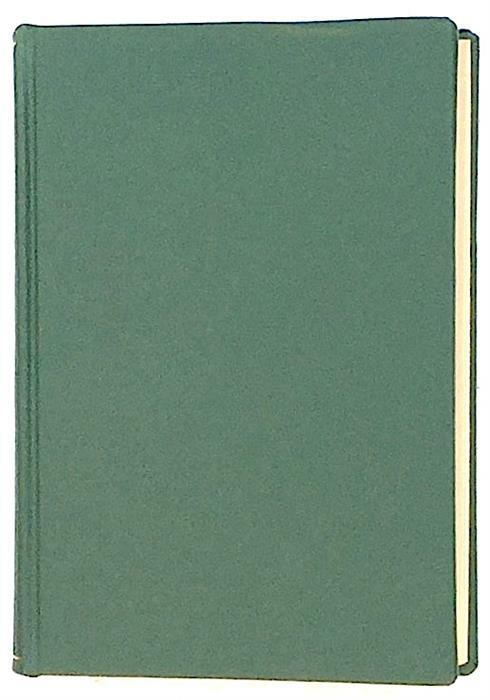 An ex-reference library bound in green cloth lettered in gold of this 736-page volume. Minor ex-libris markings; the binding is sound, the text is clean. Fine condition.